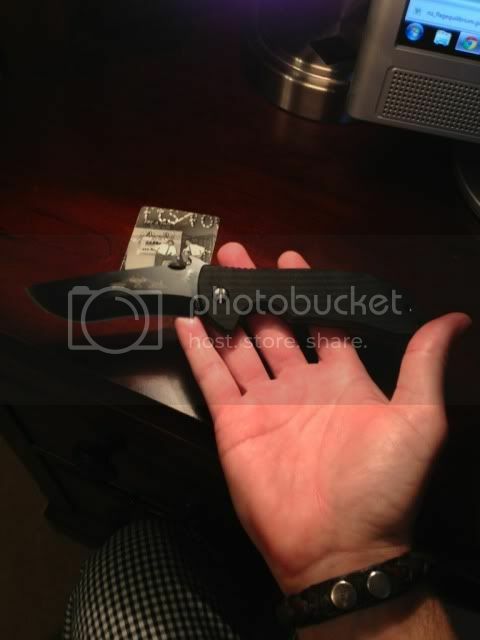 I have a #7Emerson I bought a few years ago from Emerson at a knife show in Allanta Ga. It has been my EDC ever since. But then I carry two knives everyday.You forget you have it til you need it. Handles are from 96ish, this blade was replaced in 03'/04'. Not the wave, but without the thumb stud it works the same. Love it, it's like a lucky charm for me. I just watched that episode yesterday. I really enjoyed it. I'm in the market for a new knife and that actually helped put Emersons on my radar. I'm actually looking at the CQC7. It's tempting, but I also get a KILLER deal on Benchmades. The Adamas folder for $100 seems hard to pass on. My Mini-Commander came today...I love it. It just feels solid and substantial. I gotta be honest...I've had a chance to compare some good Benchmades, Spyderco's, and Emersons and I cannot get over the Emersons - I'm hooked. I have a CQC7, a Mini-CQC7, and a Mini-Commander and they are awesome. I'm not a huge fan of Nutnfancy, and I've even met the guy at one of the local gun stores in the area, but I have to say THAT was an awesome interview. 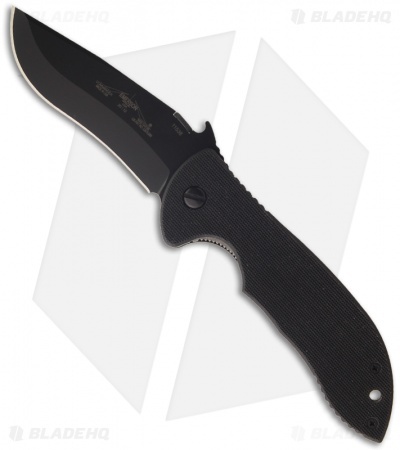 I'm now a fan of Emerson Knives and they just got moved up pretty high on the need-to-buy list. Thanks for posting that. Just ordered this one and can't wait to get it. It's the 3.75" blade so not the Super and not the Micro. Just right.. I did get my Commander. I have to say, I had read some reviews that complained about the fit and finish of the knife and I was a little hesitant on the purchase. Well, mine's built like a tank. Looks to be spot on construction to me. Scary sharp out of the box. I'm pretty sure I could slather my hand in Crisco and still keep a functional grip with the G10 - just a wonderful texture (would be great on my Glock 26). Not the best pics, but I snapped a few off hand (only have an iPhone for a camera so it's as good as it gets). Sweet! The 3.75" Commander is a fistful. My impression is the same as yours concerning the build and G10 grips. After these Emersons I have no interest in any other pocket knife. I got my 3.9" CQC-8 BTS, and love it - What a machine, you can just feel the functionality. I wish I had a better camera...But I'll get a few pictures and post 'em soon.